The lower part of Sotogrande is situated on the coast, next to the western outskirts of Costa del Sol. Sotogrande Costa property selection is known for frontline views of the Mediterranean Sea and proximity to beaches. The region is bisected by the estuary of the Guadiaro River, a natural protected area. There is the Puerto Sotogrande marina on the east side of the river, creating unique views to the port. The average price for a Sotogrande Costa property for sale is around Average price per sqm. in Sotogrande Costa €2,725 1% properties#: 227 last change on: 23 Apr 2019 €2,725 per square meter for an apartment and Average price per sqm. in Sotogrande Costa €3,293 0% properties#: 268 last change on: 23 Apr 2019 €3,293 per square meter for a house. For investment opportunities you can expect Average price per sqm. in Sotogrande Costa €2,182 0% properties#: 2 last change on: 23 Apr 2019 €2,182 . The coastal part of Sotogrande consists of private villas and houses. Above the marina, on the east side of the Guadiaro river, there is a higher number of luxury apartments and townhouses. The proximity to the shore is the main benefit of Sotogrande Costa property. Estates with a highly appreciated sea view position have a premium value of around 30% on the top of the selling price compared to the region’s average. The most renowned real estate agency on Sotogrande Costa property market with the highest number of items is Landcaster with more than 150 listings. It is followed by Teseo Estate, John Medina and James Stewart (Savills). Sotogrande has a privileged location between two international airports. Easy access to the area is provided by Gibraltar Airport, which is just a 25-minute drive away. Malaga International Airport is just an hour away. Residents of Sotogrande enjoy access to a total of 6 beaches. There are two Blue Flag awarded beaches, notable for their cleanness and high standard facilities. The first, Torreguadiaro beach, also known as Playa de las Conchas, lies next to the Puerto Sotogrande marina and is 1.3 kilometres long. The second, the crescent-shaped Cala Sardina beach, is situated on the east side of Torreguadiaro village and is nine hundred meters long. On the right side of the mouth of Guadiaro River, you’ll find the Real Club de Golf Sotogrande. This exceptional golf course is designed by Robert Trent Jones, a famous designer of fairways. The course is perfectly integrated with the natural beauty of the land and is situated just 150 meters away from the Mediterranean Sea. The clubhouse offers a restaurant and a golf shop. Sotogrande houses for sale with an exclusive position offering a frontline golf course view have a premium value of 40% on the top of the average selling price in the region. The district of Sotogrande also is well known for its polo tradition. The world-famous Santa Maria Polo Club is situated above the Puerto Sotogrande marina and offers 9 first-class polo fields. During the annual international polo tournament held at the club, it becomes a center of restaurants, shops, sponsors and children’s playgrounds. 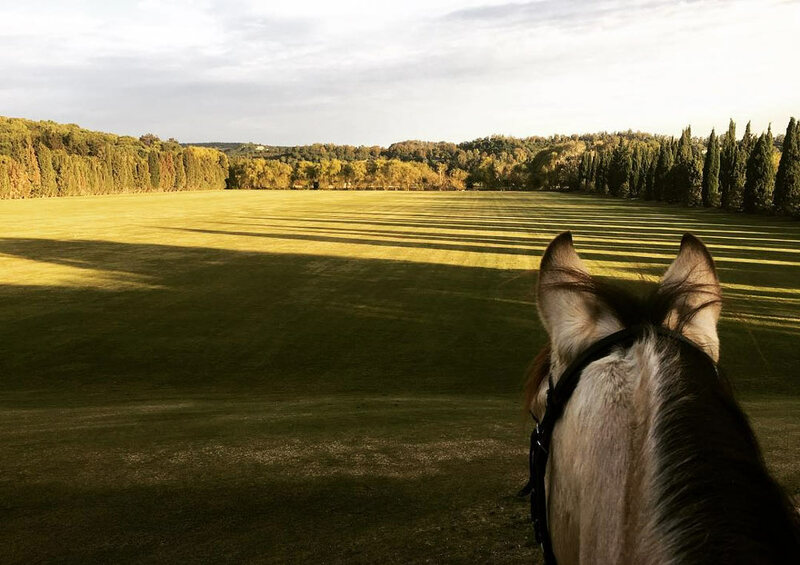 There is also an ”after-polo” area, situated between polo fields. It is full of events and fiestas happening during the weekend nights hosting musicians and special guests. The wide boulevards of Sotogrande Costa are full of restaurants offering a complete selection of high-quality food from all over the world. The best traditional Spanish cuisine and fresh seafood you’ll find in Sotogrande marina. There is also plenty of bars, cafes and beach chiringuitos to choose from. 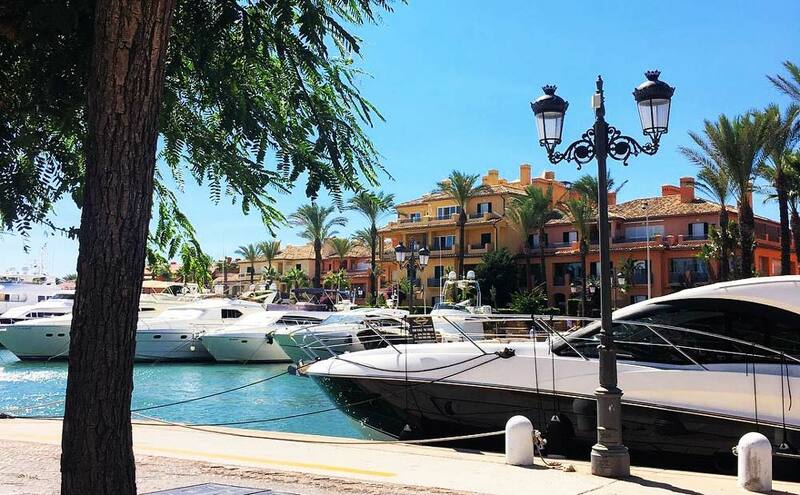 In addition, a number of markets are held in Ribera del Marlin, the quay of Sotogrande marina. Mercado del Levante is the event no resident would want to miss. It takes place on summer evenings, featuring a craft market, a night market and a vintage market with fashionable food trucks. Sotogrande Costa property market offers a wide range of properties in walking distance from the sea. Besides golf and polo, the marina offers opportunities for sailing and yachting. 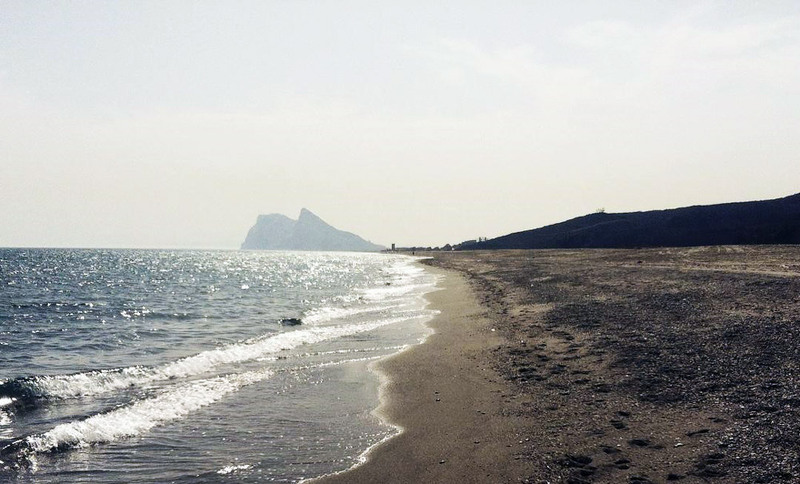 High-quality beaches offer views of The Rock of Gibraltar and North Africa. Sotogrande properties provide the highest standard and luxury on Costa del Sol and attract prime second home buyers from all over Europe.